When will be Eras of Music History next episode air date? Is Eras of Music History renewed or cancelled? Where to countdown Eras of Music History air dates? Is Eras of Music History worth watching? Documentary series charting the evolution of classical music. A look at how the likes of Rossini, Verdi, Wagner and Puccini took the world of opera and romanticism to new heights. Featuring contributions by Jonas Kaufmann and Anna Netrebk. A further look at how the likes of Rossini, Verdi, Wagner and Puccini helped define the romantic music era. Featuring Jonas Kaufmann and Anna Netrebko. A fascinating look at the evolution of modern music and the individuals who have pushed its boundaries. Featuring Renee Fleming, Jamie Cullum and Yoko Ono. A further look at the evolution of modern music and the individuals who have pushed its boundaries. Featuring Renee Fleming, Jamie Cullum and Yoko Ono. 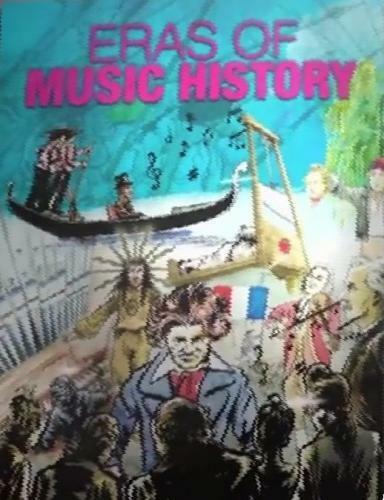 Eras of Music History next episode air date provides TVMaze for you. EpisoDate.com is your TV show guide to Countdown Eras of Music History Episode Air Dates and to stay in touch with Eras of Music History next episode Air Date and your others favorite TV Shows. Add the shows you like to a "Watchlist" and let the site take it from there.